Which Encinitas electricians get the best reviews? Frequently Asked Questions » Which Encinitas electricians get the best reviews? 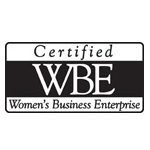 What is Ms. Sparky’s rating with the Better Business Bureau as an Encinitas electrician? Reading customer reviews of all of the electricians in Encinitas is a great way to get a good idea of the type of service you can expect to receive. At Ms. Sparky, we have excellent customer reviews. If you go to our review page on Yelp, you will see that we have glowing reviews from both homeowners and general contractors who have used and recommend our services. As of this writing, we have nothing but five-star reviews on Yelp! Not many other electricians in Encinitas can say that. We also have multiple recommendations from homeowners who have used our electrical services on the Nextdoor site. Not to mention all of the customers that come to us based on personal referrals from friends and neighbors who have used our services. 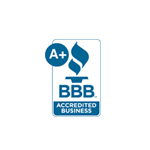 We have an A+ rating with the Better Business Bureau and have never received a complaint at the Contractors State License Board in all of our years of business! Why do we have such great customer reviews? It’s probably because we go above and beyond for our customers. No matter how big or small the job is that we’re called out to do, we always make sure to complete it to our customer’s satisfaction. We show up on time and work efficiently to finish in a timely manner. We clean up after ourselves, so you don’t have to! Our pricing is competitive, and we can solve electrical problems that may stump other electricians. In addition, if there ever is a problem with our work, we will make it right! We know you have many choices when it comes to electricians in Encinitas, and reading reviews can help you narrow down your options. After doing your research, we hope you will contact us at Ms. Sparky Electric. 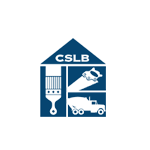 We would be happy to answer any initial questions you may have, or you can schedule an in-home consultation where we can go over your project in detail and give you an estimate for the work you need to have done. We hope to hear from you soon! If you’re one of our past or current customers, we’d love it if you’d leave us a review on Yelp or Google. We always enjoy hearing about the experiences our customers have with our electricians, and so do other people in Encinitas looking to hire an electrician.